Starting high school will mean many new experiences for students. High schools are likely to be much bigger than their primary school with a number of different facilities over a larger campus. Children were the senior students in their previous school will now be the beginners in their new larger school. This can be a little daunting for many students. However, they will also meet many new people, some of whom may become new friends, and experience many new things. Students will have a number of different teachers and classrooms and their classmates will vary from class to class. They will have timetables with subjects, times and room locations listed and their class periods will be of a longer duration than they were in primary school.Students will now have several teachers, a year adviser, a student services team as well as access to youth workers and councillors. As a high school student they will need to take greater responsibility for their learning. Making their own way around a school to get to classes can take some time to get used to. They are responsible for carrying around their own equipment, notes and books from class to class. They will need to check their timetables each night to make sure they everything they need for the next day's classes. High school websites have information about the specific programs and services to help students as well as information for their parents and carers. 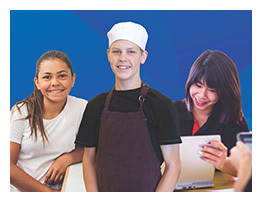 Before starting high school students and parents are encouraged to visit the school website for information about the curriculum and special program that are on offer. There is also information about topics such as the canteen and uniform. Each high school produces a handbook and members of staff are happy to discuss the needs of intending students with parents. A full listing of public high schools, including links to their websites is available from this website here. Advise the school of any allergies, medical conditions or special needs. Ensure your son/daughter are aware of travel to school requirements including bus timetables. Is there are quiet work area available at home with stationary available? Ensure your daughter/son has your phone number in case of emergencies. Make sure you have the school’s phone number. When their class timetable is finalised keep a copy at home to check it each night during the first weeks of school.